An Audiologist is a hearing health care professional with a Masters degree in audiology who specializes in the administration and interpretation of complex hearing tests for all populations including infants. 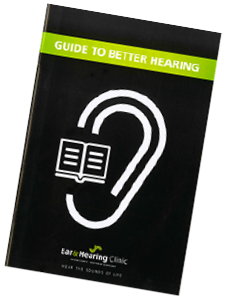 Audiologists are trained to identify, manage and treat non-medical hearing or balance problems as well as prescribe and fit hearing aids. Audiology is also a regulated health profession within the province of Ontario. This means that audiologists are governed by a regulatory college whose mandate it is to ensure that audiologists are practicing in a safe, ethical, fair and professional manner. The college also investigates complaints and ensures that audiologists are accountable to the public. We have 5 on staff to exceed your expectations. A Hearing Instrument Specialist has a smaller scope of practice and is unregulated. An HIS can test someone’s hearing, and recommend specific hearing aids for a client, but the HIS is still required to get a hearing aid prescription from elsewhere. Pediatric hearing testing of infants is not within the HIS scope of practice. An ENT is a medical doctor who specializes in the surgical and medical intervention of ear, nose and throat disorders.